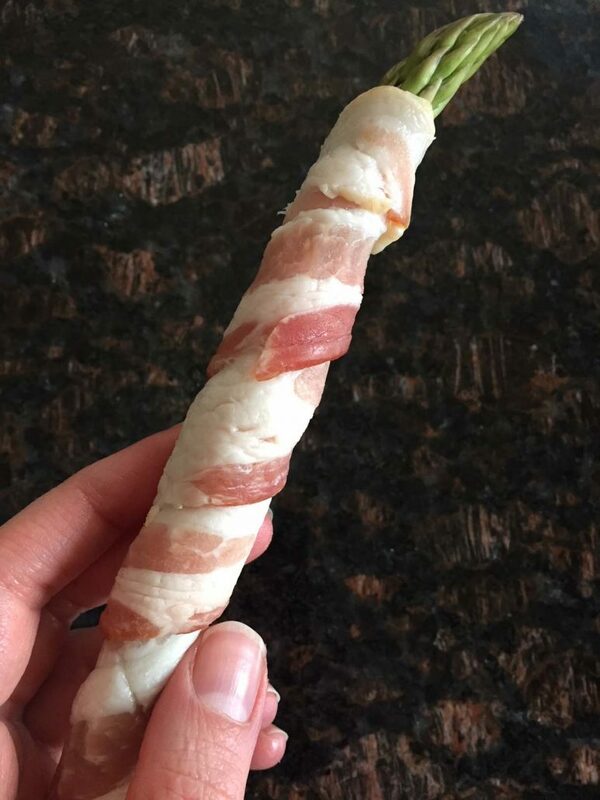 This bacon-wrapped asparagus is amazing! 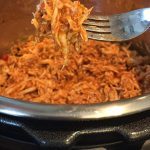 It is my favorite low-carb appetizer! 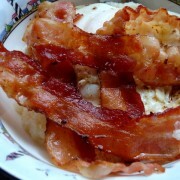 As a bacon lover, I appreciate anything wrapped in bacon! 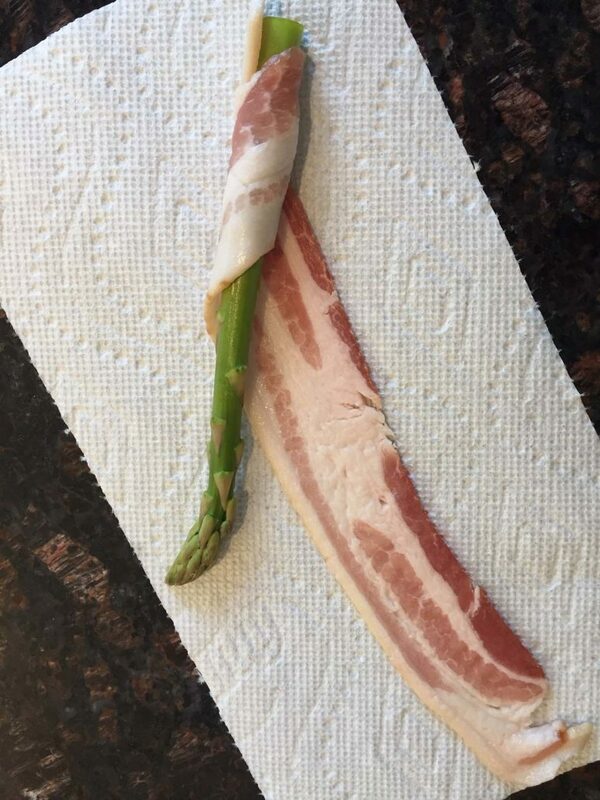 I make bacon-wrapped pineapple, bacon-wrapped dates, and this asparagus is the latest recipe to join my bacon-wrapped recipe collection 🙂 This stuff is simply awesome! Bacon wrapped asparagus is a perfect appetizer for those on keto or any other type of low-carb diet. It has virtually zero carbs! 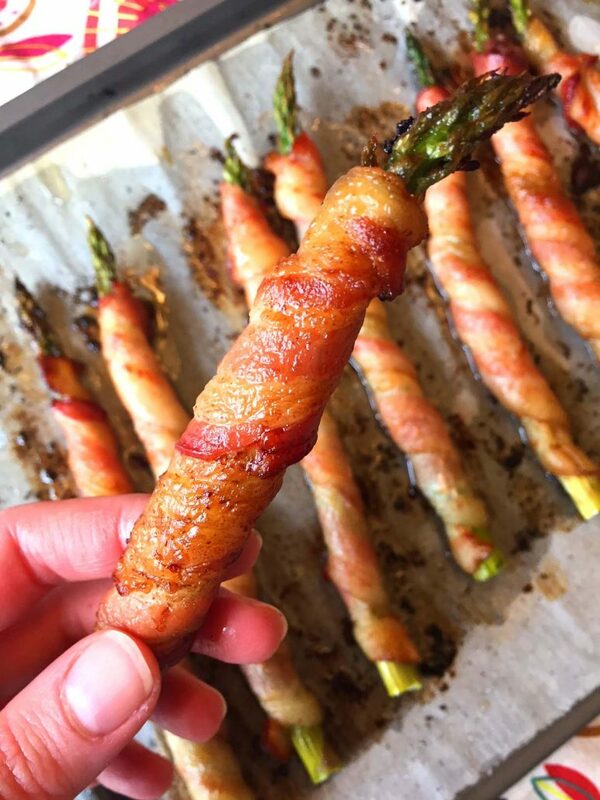 Typically appetizer tables are loaded with carbs like chips and breads, so this bacon-wrapped asparagus will be like a breath of fresh air for those people who are looking for high-protein low-carb options. 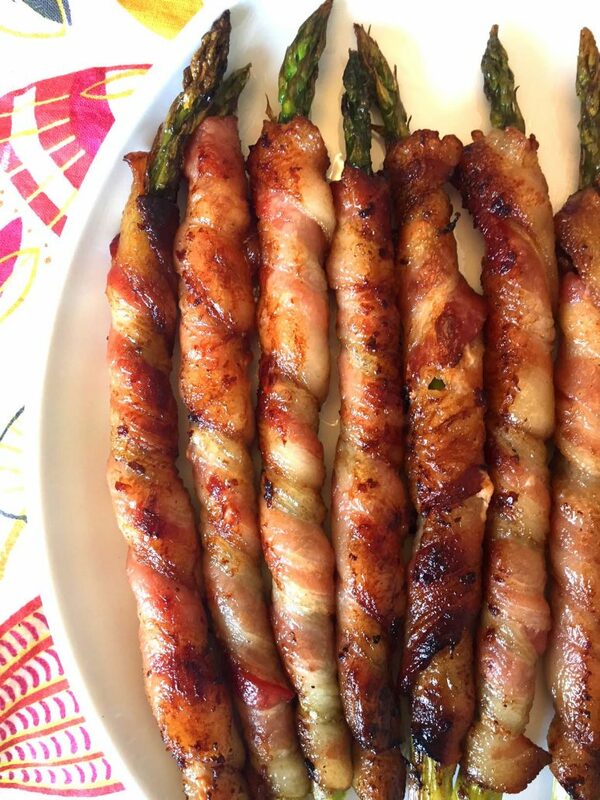 See, here’s another excuse to make this bacon-wrapped asparagus ASAP! Also, check out my best ever keto bread – no carbs and tastes like real bread! This recipe is so easy and requires just two ingredients! 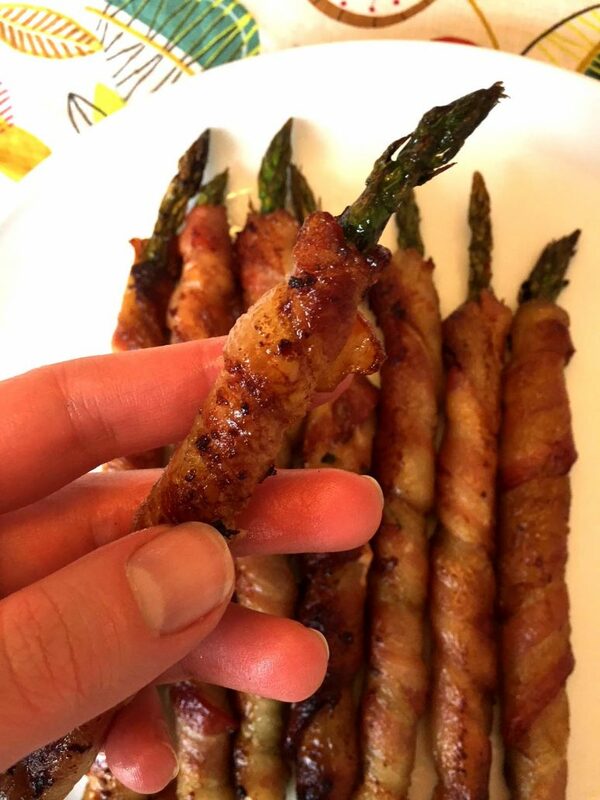 Can you guess what are the two ingredients of bacon-wrapped asparagus? LOL! Yep, asparagus and bacon! 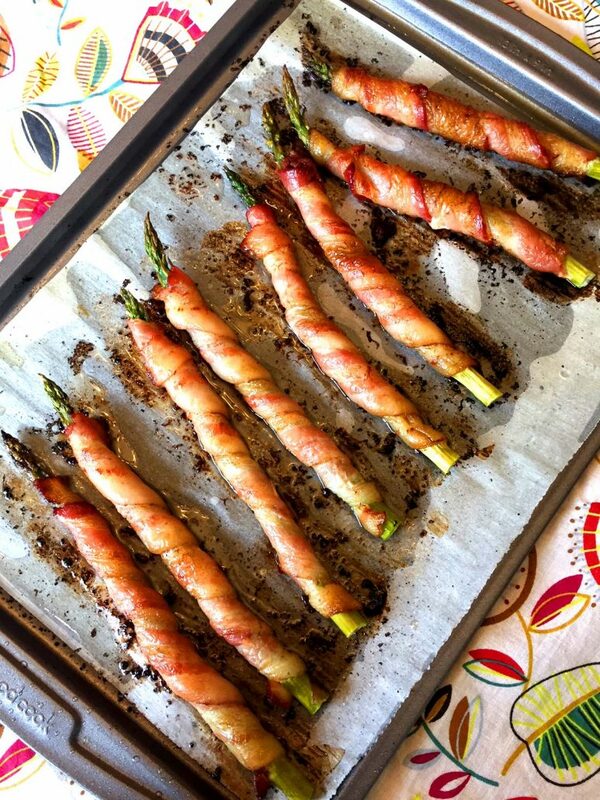 Roasted asparagus inside the crispy baked bacon is so mouthwatering! How many pieces are you going to eat? It also has a great presentation! People automatically associate asparagus with elegance, so any asparagus appetizer appears fancy. 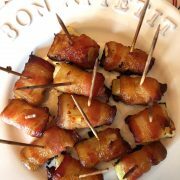 Bacon-wrapped asparagus makes you look like a fancy chef, but in reality this is one of the easiest appetizers to make! First, wash the asparagus and trim the ends, then blot the asparagus with paper towels to dry. 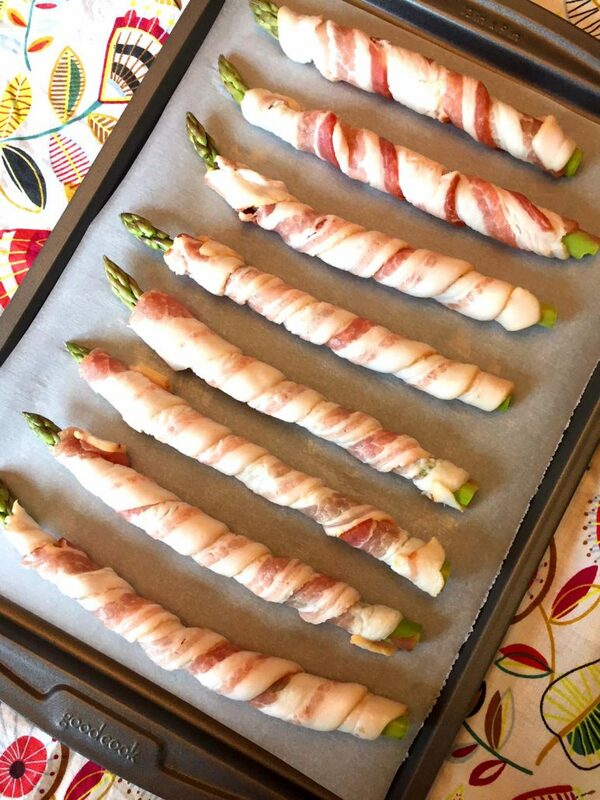 Wrap each asparagus stalk with a slice of bacon. Put bacon wrapped asparagus stalks on a baking sheet in a single layer (line your baking sheet with parchment paper or foil for easy cleanup). 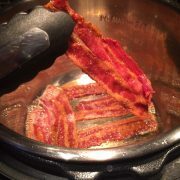 Bake in pre-heated 400F oven for 20 minutes, or until the bacon is nicely browned! Enjoy! To make your entertaining stress-free, you can make this recipe ahead. 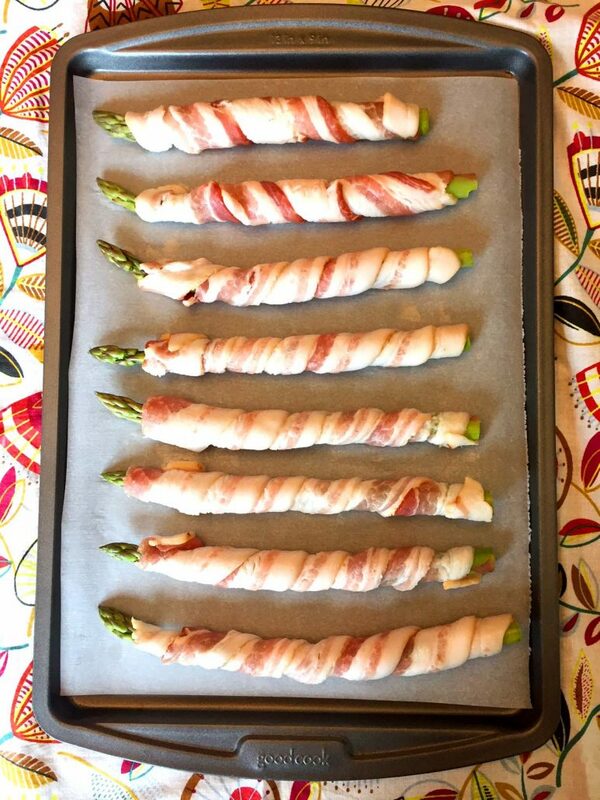 Simply wrap trimmed asparagus in bacon, put in a baking dish, cover and refrigerate until ready to bake. You can even bake it ahead and simply reheat in the microwave if you’d like. 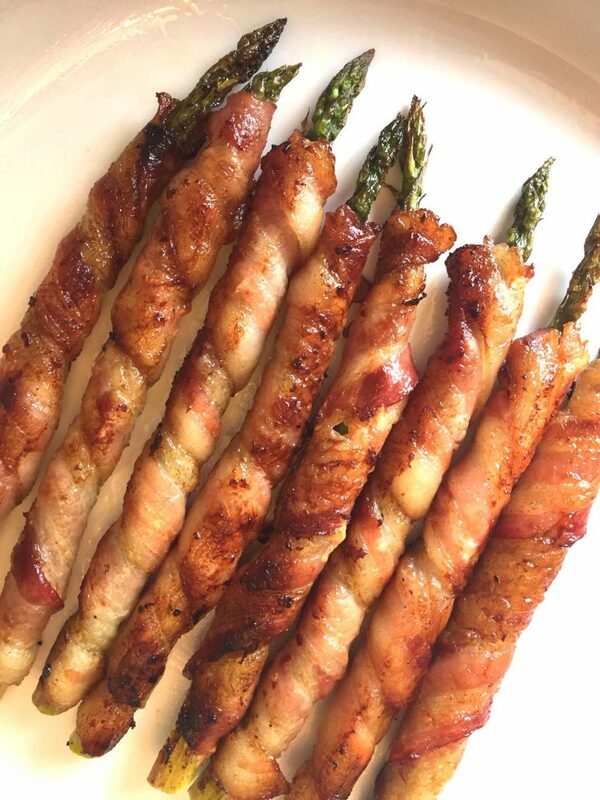 You just simply can’t go wrong with bacon-wrapped asparagus! 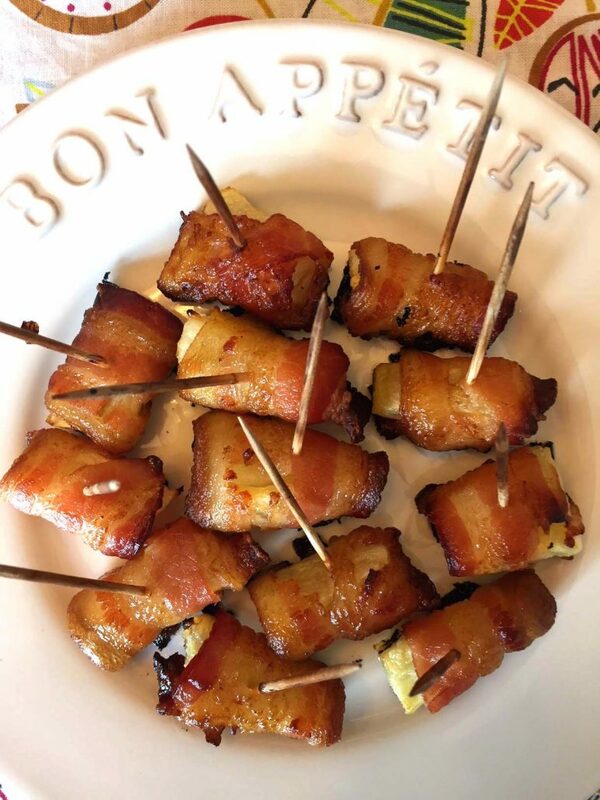 Bacon Wrapped Pineapple – yummy yum yum! Fresh pineapple pieces wrapped in bacon and baked! 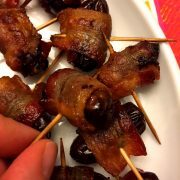 Bacon Wrapped Dates – another bacon-wrapped delicacy! Epic combination! You can also try stuffing them with goat cheese! 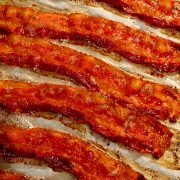 How To Cook Bacon In The Oven – make a huge batch of the crispiest bacon ever without splattering oil! A game changer! Best Stuffed Mushrooms Recipe – these yummy little stuffed mushrooms are such a crowd pleaser! 2 Ingredient Keto Chips – so cheesy and crunchy! 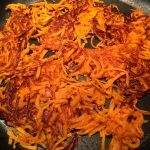 If you are cutting carbs and love chips, you need this recipe! 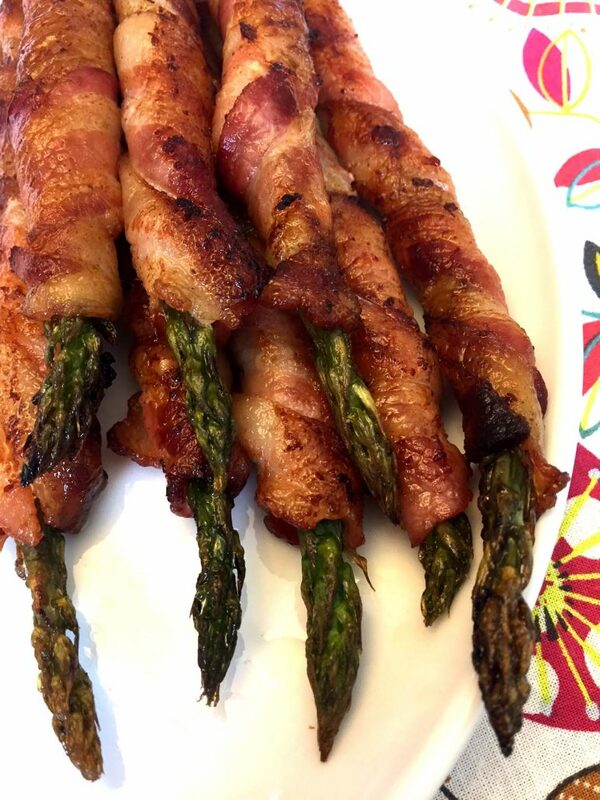 This bacon wrapped asparagus is so easy to make, looks impressive and tastes mouthwatering! 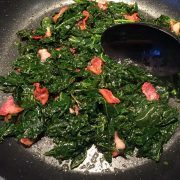 Roasted asparagus inside the crispy browned bacon - more please! Wash the asparagus and trim the ends. Dry asparagus with the paper towels. 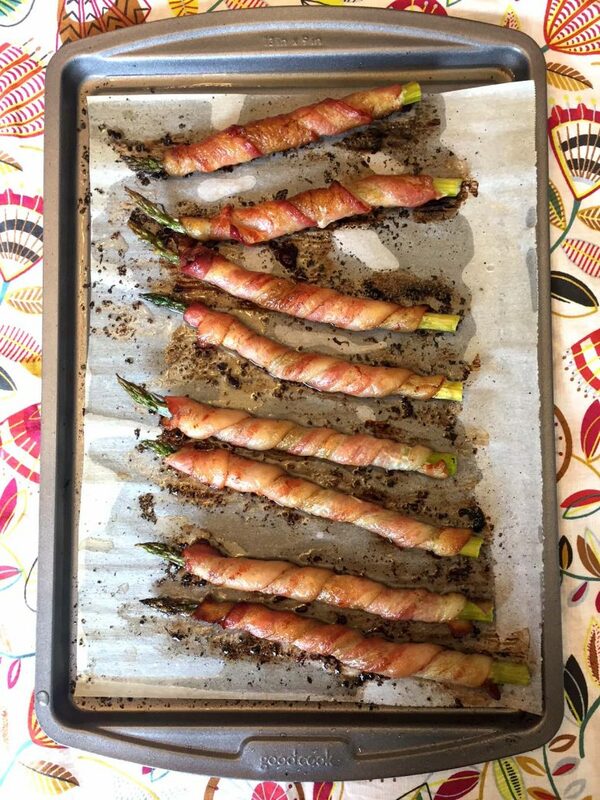 Wrap each asparagus stalk with a slice of bacon and put on a baking sheet in a single layer. 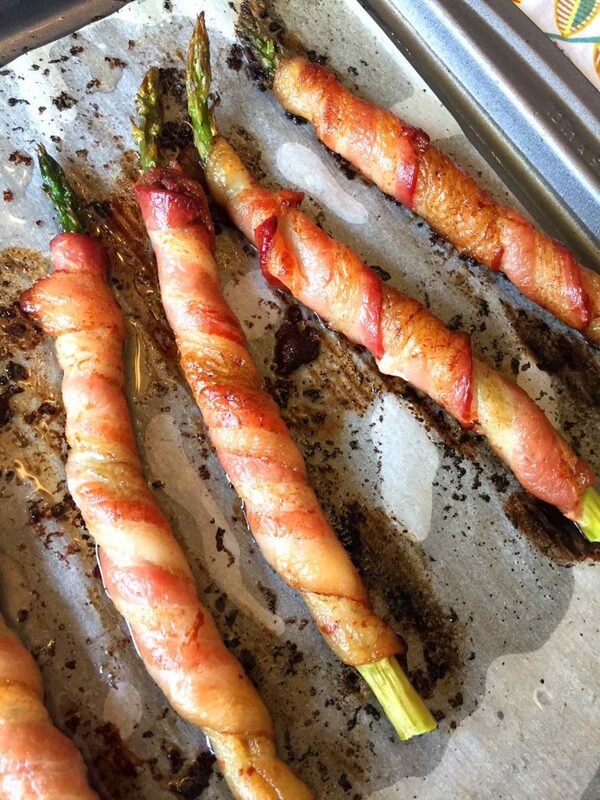 Bake bacon-wrapped asparagus for 20 minutes, or until the bacon is brown and crispy.